The world is pretty divided on the matter of mushrooms. You either love ’em or you hate ’em! … and don’t worry. No one’s asking you to eat them. One of the world’s most colorful mushrooms, these rather oddly shaped little guys attach to wooden surfaces throughout eastern North America and Europe. 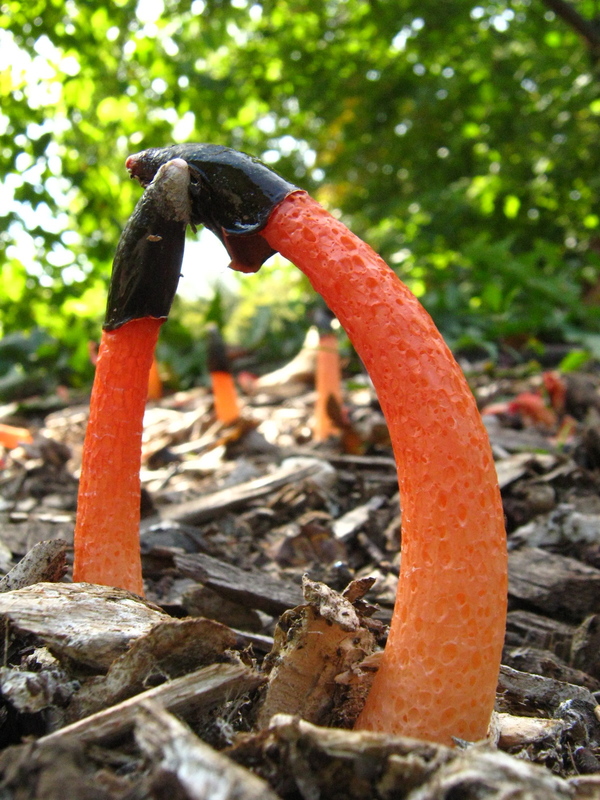 Dog stinkhorns have a signature black tip and ombré fade to their stalks. Fashion forward creatures, aren’t they? Boasting a unique structure and brightly-colored hue, ‘latticed stinkhorns’ are located in the most popular vacation spots in the U.S. Think tropical states such as Florida and northern California. Apparently, they let off a rather unsavory stench … from miles and miles away! While native to New Zealand, these rather colorful mushrooms weren’t officially classified until 1962. In addition to boasting a beautiful navy hue, sky blue mushrooms claim a spot in the country’s stamp collection. But watch out! While entirely gorgeous, they’re entirely poisonous!